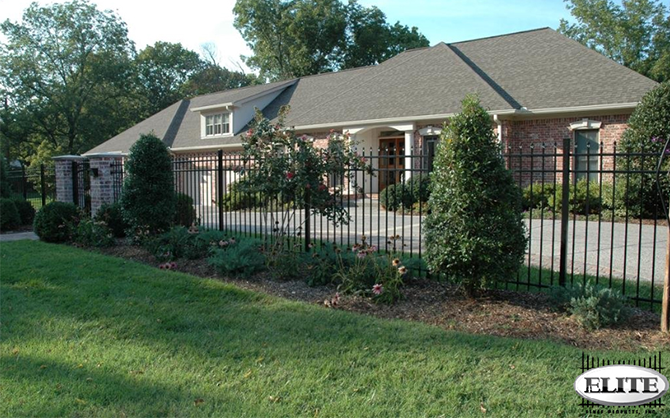 The Elite EFS-10 ornamental aluminum fence is perfect if you're looking to add some security and a whole lot of style to your property. 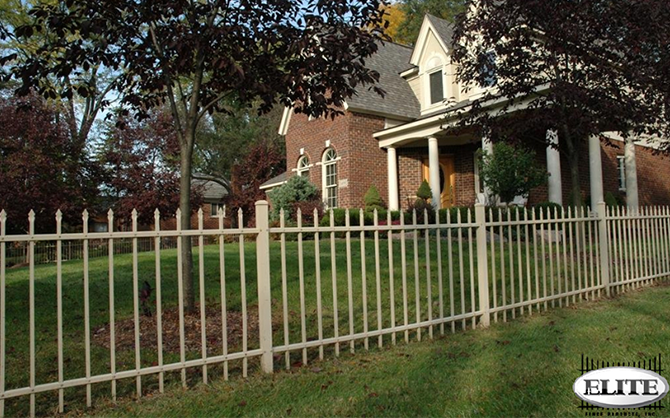 The EFS-10 style features a picketed top for the ultimate in ornamental fence design. 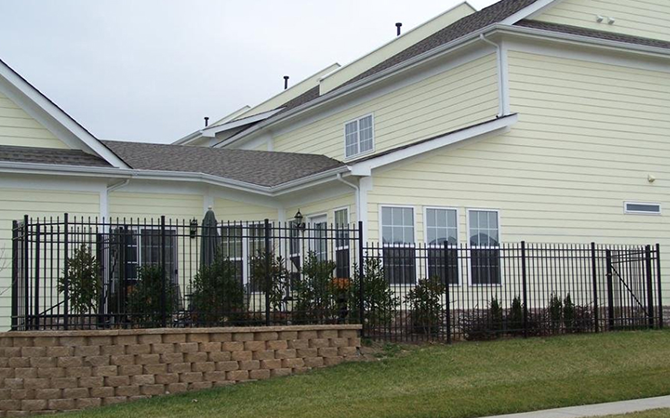 Elite aluminum fencing features a "good neighbor" design, meaning both sides of the fence look just as stunning. This is truly a fence both you and your neighbor will love. 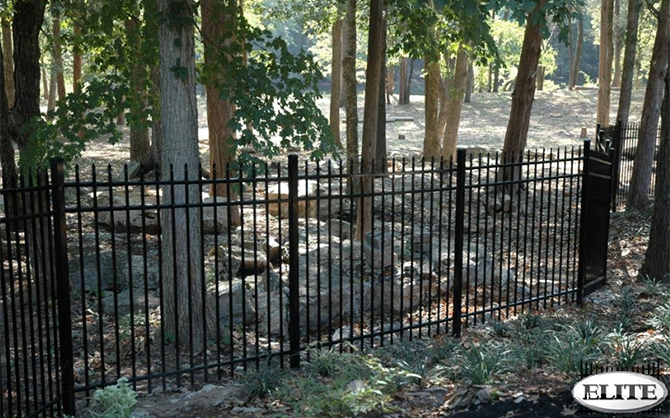 All ornamental aluminum fencing by Elite is made with high quality aluminum. Then, this high quality aluminum is given a powder coated finish to prevent against damage such as cracking, chipping, or peeling. 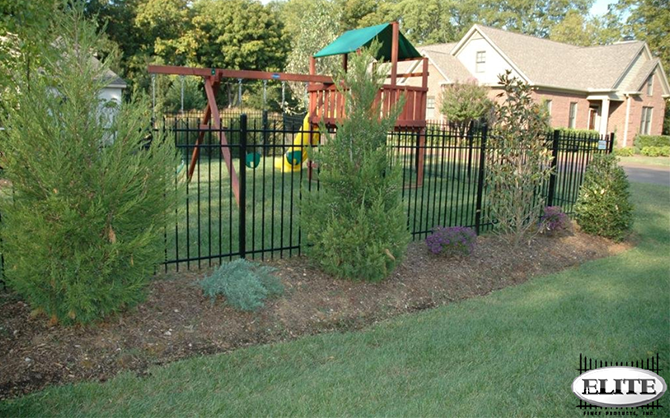 Standing by the incredible durability of their aluminum fencing, Elite provides a lifetime limited warranty on all of their fencing. 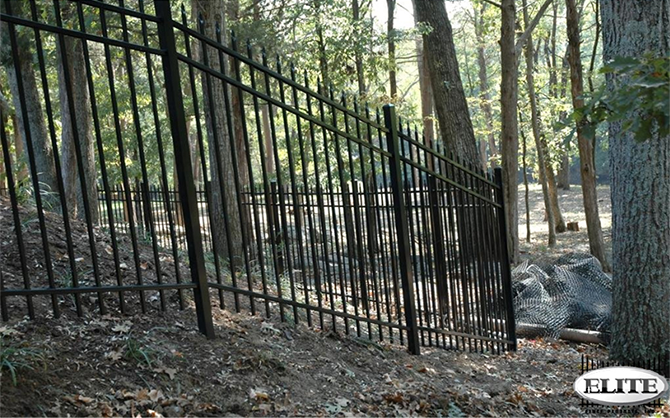 Installation is easier with an Elite aluminum fence. We ship every section of Elite as a completely pre-assembled fence panel meaning you won't have to waste all the time of sliding pickings into top and bottom rails, getting it all to stay in place and fastening it all together. We also have available aluminum gates in both single entry and double drive that match each style of fence. These gates are available with the standard style, or with an estate or curved top. All of our Elite aluminum gates include your standard hinges and latch, although self-closing and self-latching gate hardware is also available as a popular accessory. If you're looking for a cantilver gate to go with your new Elite aluminum fence, be sure to checkout Elites very own ZipTrack gate system.